We test Salice's 012 sunglasses. 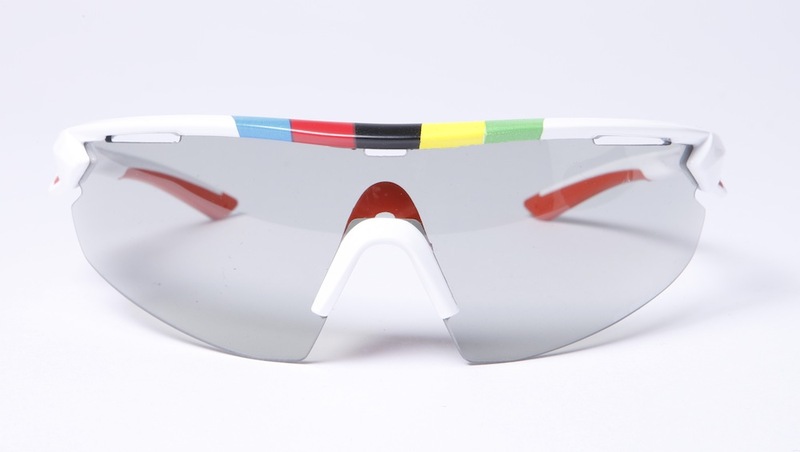 These are in World Champion's colours with a photochromatic lens, but there are lots of other combinations available. The 012 range from Salice extends to eight different lens types and is available in a host of different lens and frame colours too – in total there are over 30 different combinations to choose from. The CRX range comes with a single-piece photochromatic lens, as well as a replacement lens for low light conditions – in the case of the CMDCRXs it’s a light orange tint which accentuates detail effectively on dull days. The photochromatic lens works well too, reacting quickly to changing light levels and not being too dark to work well in UK summer conditions. The lens is quite large, so there’s good peripheral coverage and side glare isn’t an issue. This does mean that there’s some misting when you stop though, although with slot vents built into the tops of the lens, it soon clears once you get moving again. Salice claims that the lens is treated to ensure that rain beads off quickly, although this wasn’t an effect which I noticed in practice. There’s also an antiglare treatment to the inside of the lens. 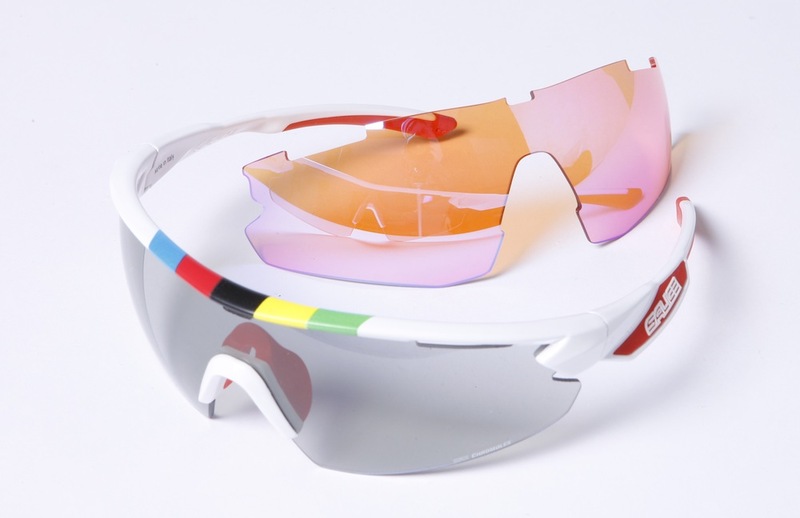 I did find that I had little eye strain on longer rides, so this seemed to be effective. The arms are comfortable and there’s a softer piece built in at their ends. The nosepiece is made of the same material. It’s quite large and extends up toward the bridge of your nose, but I found this comfortable too. If you change lenses, you need to swap this out, although this isn’t a difficult operation and the nosepiece clips firmly into place. Swapping out the lens is quite straightforward too, with a tab at either end and a slot in the top of the frame into which the lens clicks. It can be slightly fiddly to position, but once in place, I found that it stayed put perfectly well.